Do you care about archaeological archives? Do you want to make a difference to the future of Northamptonshire’s heritage? An unparalleled opportunity has just arisen for you to join a small team of professionals working to develop archives and heritage services for the future. The county council, with support of the National Lottery Heritage Fund, has just finished building a new repository for the county’s archaeological resources where they can be safely preserved and made accessible for research, learning and enjoyment. The council needs a dynamic and motivated individual to set up the new centre to ensure it meets current professional standards, to develop and implement a plan to assess and catalogue collections, and to develop a public and volunteer engagement programme. 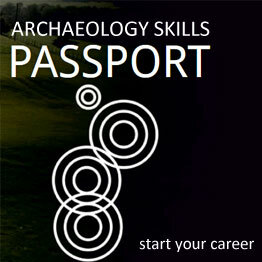 Proven experience of managing archaeological archives is essential for this role. This is a chance to make a real impact on the care and preservation of the county’s archaeological archives and their public accessibility into the future.